Are you a property owner with an unwanted property in Leon Valley (and surrounding areas)? If so, we would like to buy your unwanted house from you fast in ANY condition, and hand you the money on the day we close. Owning an unwanted property can be a challenge on your wallet and your time, and it can cause a lot of stress and frustration. Let us help you to end the hardship and get your life back — we’ll make an offer to buy your house from you right away. There are many reasons why you might want to sell: Perhaps you’ve got costly repairs or a frustrating rental property; maybe you’re upside down in your mortgage; maybe you need to move quickly; maybe you want to downsize. Whatever the situation, let us at Anchored Sunshine, LLC, buy your house from you fast. If you’ve tried to sell your house through an agent already, or if you’re still weighing your options, then you probably already know that it’s a costly and time-consuming way to sell. … You’ll have to pay out-of-pocket to fix-up and clean up your house before the agent will list your house. … You’ll have to wait 3-6 months on average while an agent tries to find a buyer (and you’ll pay bills and taxes on the property the whole time). … And if the agent can find a buyer, you’ll have to pay the agent’s commissions (which could be thousands of dollars). Fortunately, that’s not the only way to sell! At Anchored Sunshine, LLC, we provide an alternative to Leon Valley sellers who want to sell a property but don’t want to wait or pay. We are buyers, not agents, which means we want to buy your house directly from you (we don’t want to list your house like an agent would). We buy in any condition — so you don’t have to fix-up or clean-up your property. We can close fast, even in as little as 7 days, and we’ll put a check in your hands at closing. And since we’re not agents, there are NO commissions or fees to pay. We’ll get back to you within 24 hours to set up an appointment to view your house. At the viewing, we’ll give you a fair all-cash offer. You choose whether to accept our offer (no obligation). If you do, then just tell us when you want to close. We can close fast (even in as little as 7 days) and we’ll pay you a check at closing. Doesn’t that sound like a faster, easier way to sell? Plus you can end up with money in your pocket and you can walk away fast from your problem property. It’s our goal to help you get rid of your unwanted property and put money in your pocket so you can get on with your life. Let us buy your house from you and pay you a fair cash offer and close as quickly as you’d like. We are Leon Valley‘s premier house-buying company. 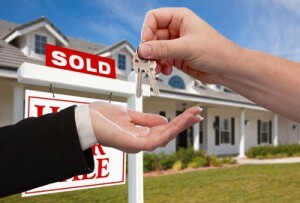 We specialize in buying houses that property owners don’t want or need or can no longer afford. Whether you’re facing probate, divorce, foreclosure, bad rental situation, or expensive repairs, or any other reason, we’re here to help — we want to make you an offer to buy your house fast. Just fill out the form above or pick up the phone and call our team at (210) 693-1533. We’re ready to buy as quickly as you want to sell. Sell My House Fast Leon Valley! Can You Get Your House In Leon Valley Back After Foreclosure?